Trump made the announcement while departing the White House for a trip to Missouri. 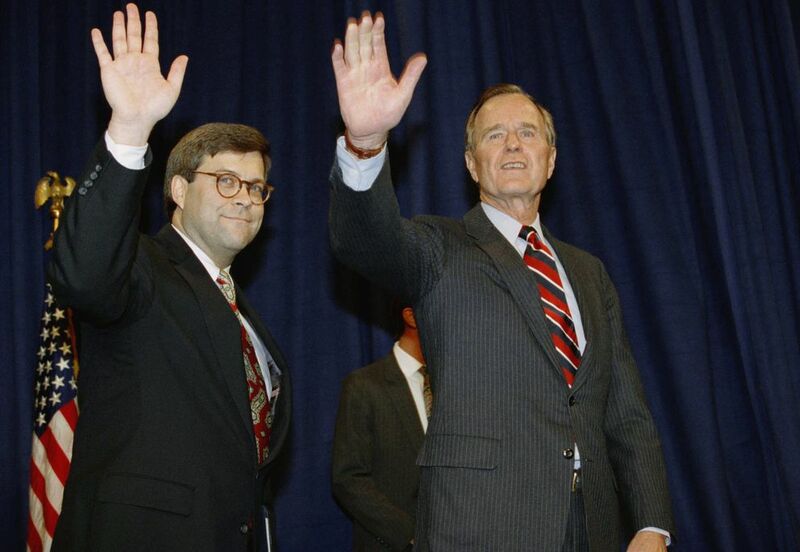 He called Barr "a terrific man" and "one of the most respected jurists in the country." If confirmed by the Senate, Barr would succeed Attorney General Jeff Sessions, who was forced out by Trump in November following an acrimonious tenure. Sessions' chief of staff, Matthew Whitaker, is currently serving as acting attorney general. Trump's fury at Sessions for recusing himself from the Russia investigation — which helped set in motion the appointment of special counsel Robert Mueller — created deep tensions between Trump and his Justice Department. He sometimes puts the word "Justice" in quotes when referring to the department in tweets and has railed against its leaders for failing to investigate his 2016 campaign rival, Hillary Clinton, as extensively as he would like. Democrats will presumably seek reassurances during confirmation proceedings that Barr, who as attorney general would be in a position to oversee Mueller's investigation, would not do anything to interfere with the probe. He told The New York Times in November 2017, in a story about Sessions directing his prosecutors to look into actions related Clinton, that "there is nothing inherently wrong about a president calling for an investigation" — though Barr also said one should not be launched just because a president wants it. He was quoted two months later in a Post story expressing concern that members of Mueller's team had given contributions to Democratic candidates.